Xiaomi has finally announced the new sequel to their Redmi series, the Redmi 3. Covered in an aluminum body, the Xiaomi Redmi 3 adopts the same material that was used in the recently released Redmi Note 3. It should be noted that this is a great upgrade since its predecessors, Redmi 2 and Redmi Note 2 were both made of plastic. The Redmi 3, with a 5-inch HD Display, offers an upgrade to the processor by fitting in a Qualcomm Snapdragon 616 processor that is indeed the perfect option. Compared to the Redmi 2, the Redmi 3 has similar 2GB of RAM and also support dual SIM. For storage, there’s 16GB of storage which can be expanded through a microSD card. As for the camera, the Redmi 3 comes with a with a 13 MP primary camera with f/2.0 aperture and 0.1 second Phase Detection Auto-Focus (PDAF). As for the front camera, there’s a 5MP one with a f/2.2 aperture. 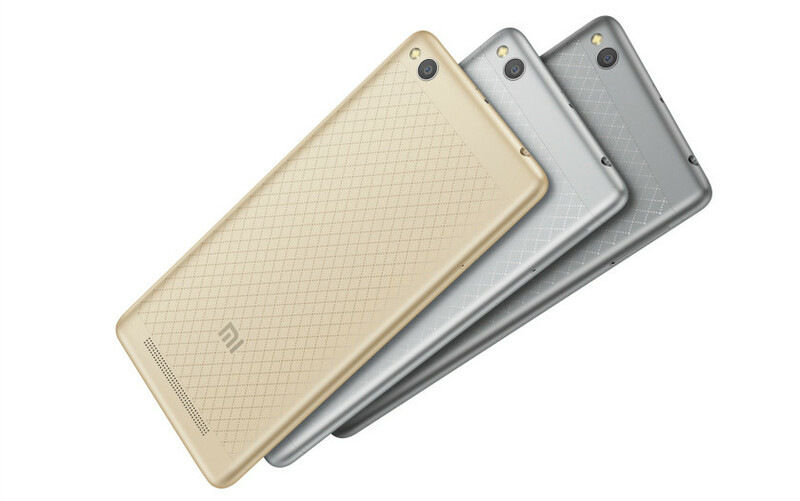 The Redmi 3 is current;y available in three colors: black, silver and gold. The smartphone is currently available in China only through Tmall and Mi.com. There’s no word yet on the global launch. The price in China for Redmi 3 is 699MP which is equivalent to only $105. Pretty affordable! Looking forward to it? Let us know in the comments below! Redmi Note 3 is better than this one i hope…….